Hamsters and gerbils are both very widely-loved, common pet companions. These small animals both pack a bunch of character, but that isn’t to say that owning a hamster is the same experience as owning a gerbil. We’ve done our research and compiled our notes to bring you this handy guide to understanding their differences, as well as their similarities. Gerbils are much more active and sociable than hamsters. This comes with a number of benefits and drawbacks. Whether a hamster or a gerbil is the ideal addition to your family depends on individual preference. Activity and sociability both heavily influence how one properly cares for either of these small mammals. 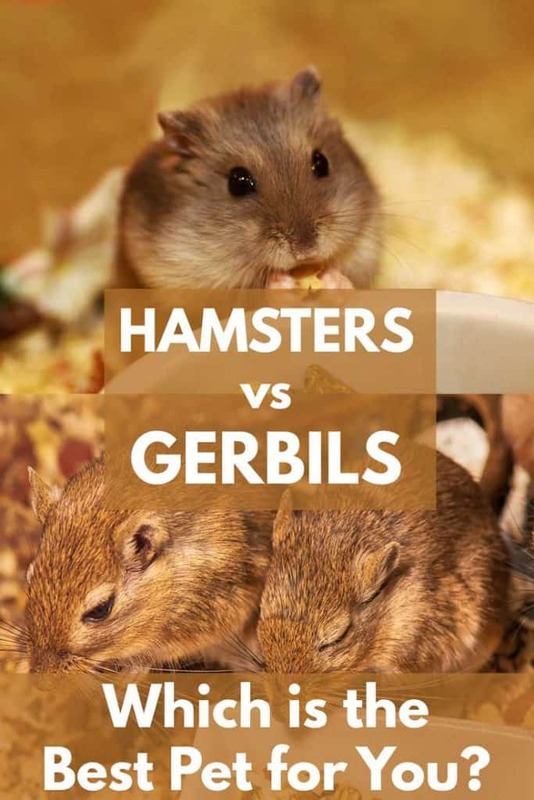 In this guide, we will also address other key differences between hamsters and gerbils. There are many physical differences, as well as behavioral and dietary ones that you should be aware of. This might sound like a lot to take in, but don’t fret! We’re going to break down this information in a clear and concise way that first-time critter owners can understand. While hamsters and gerbils may have similar fur types or colorations, that is just about where the similarities end. Gerbils and hamsters are both rather small mammals. A Syrian hamster grows to seven inches in length, on average. A dwarf hamster falls short of that at an average of 3-4 inches in length. Gerbils grow up to 6 inches long, with an extra few inches added for the tail. Matured gerbils and Syrian hamsters are the top contenders if the pet will be in a home with small children. Larger animals are easier for children to handle, which reduces the instance of dropping the animal or accidentally holding them too hard. Both gerbils and hamsters possess a wide variety of colorations and fur textures. A hamster or gerbil’s fur may be dense, soft, long, short, and any number of colors and color patterns. Gerbils have the added feature of a tail, which elongates their overall bodies by as many as four inches. The tail also is covered with a fine layer of fur. Hamsters have stout bodies with wide feet. Gerbils have a notably more elongated and slender appearance, including a longer nose that resembles a rat’s nose. Another key difference is that hamsters have chubby cheeks – which are used to hold food and bedding. When a hamster’s cheek pouches are thoroughly stuffed, this can make the animal’s head look nearly doubled in size! It’s quite an impressive feature and entertaining to watch. Read more: Why do hamsters store food in their cheeks? One of the biggest downsides of small, mammalian pets is the short lifespan that they have. Hamsters and gerbils are both pets that you will enjoy the company for several great years. Gerbils can live for as many as eight years, though the average lifespan of a gerbil is between 2 and 4 years. The specific breed of gerbil influences how long they are likely to live. The average hamster’s lifespan, for both Syrian and dwarf hamsters, is around 2-3 years when very well care for in captivity. Some hamsters do live longer lives than this, but this is a matter of chance and genetics, as well as lifestyle factors. Read more: How long do hamsters live? Hamsters are notoriously solitary animals, especially Syrian hamsters who absolutely cannot share their space. Some dwarf hamsters can live with a cage-mate, but it’s not uncommon for them to live happier when alone, as well. Gerbils, on the other hand, are very sociable. In fact, it is incredibly ill-advised to have a gerbil live in their cage by themselves. In the wild, gerbils live in family groups with as many members as twenty of the same species. So, in the domestic setting, they should live with at least one companion of the species. It is also true that many hamsters are fairly aloof toward their human owners. They also tend to be asleep when most humans are active – during the day. Gerbils, however, seem to be very inquisitive and curious about humans and are keener on interaction in general. According to the MSPCA, it is even beneficial to the well-being of gerbils to be picked up and held. Click here to read: “Does My Hamster Actually Know Me?” and get a better understanding of how hamsters interact with humans. While hamsters are fairly nocturnal, gerbils like to be awake during the day. 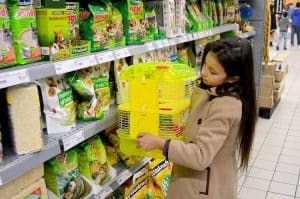 This means that there could be more opportunities for interaction with your pet if you choose a gerbil. You will also be more likely to observe their fun and playful antics unless you’re a night owl. What is Involved in Caring for Hamsters and Gerbils? Any pet that lives much of its life in a cage will need that cage to be well cared for. For both hamster and gerbil owners, it is important to keep the cage clean at all times through daily and weekly cleanings. Soiled bedding and stale food should be removed on a daily basis to minimize odor and bacteria. Click here for our Hamster Cage Maintenance Guide. Gerbils live in pairs or in groups and so they produce more waste. You may find yourself cleaning more frequently due to the presence of two or more small mammals. Hamsters tend to produce less urine, compared to other rodents. Which means their cage will require less cleaning. 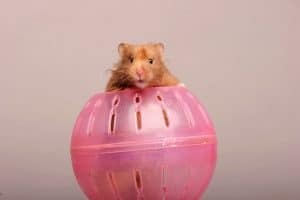 When furnishing a gerbil cage, one cannot add the same type of running wheel that they may consider for a hamster. Gerbils have tails that are long and can get caught up in many traditional wheel styles. For this reason, a gerbil owner should buy a smooth wheel designed for gerbils, in addition to other items for entertainment. Compared to hamsters, gerbils are destructive little things with an intense love of chewing. Yes, hamsters love to and need to chew to keep themselves happy and healthy, but gerbils take it to another level. Plastic toys can be chewed into pieces within days. Cage bars can sustain tremendous damage if a gerbil decides that they like the way it feels on their teeth. 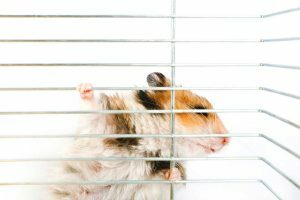 Many gerbil owners successfully navigate this issue with their pets, but it can be taxing to replace or remove elements of the cage. One practice that’s commonly done is placing gerbils into aquariums instead of wire cages. This obviously puts an end to cage-chewing behaviors. This does not, however, mean that plastic, wood or metal is safe from the teeth of an active gerbil. Even the most vigilant of gerbil owners have to replace elements of the cage with a much greater frequency than they would if they had a hamster. Hamsters do, in fact, adore chewing. However, they are not likely to annihilate their food dish or sand bath container – especially not if you provide them with high-quality chew toys and treats. A gerbil would appreciate these chews, too, but they will probably continue to chew on everything in their path if the chew supply runs dry. So, Which Pet is Best for You? Hamsters and gerbils are both fine pets that will bring a lot of fun into your life. There is no saying that one is a “better pet” over the other, as it really does depend on what your preferences in a pet are. If you prefer a more mellow pet, a pair of gerbils could be overwhelming. But if you’d love to bring more than one new animal into your life for an invigorating blast of energy, gerbils can be a great choice. Both pets require routine and dedicated care of their cages and they share a lot of the same needs, such as the need to chew, eat and drink, burrow and exercise. Similarities aside, keep in mind that you should never get just one gerbil. In fact, you should get two or even more to avoid loneliness and to help them flex their social nature. Gerbils can be challenging to keep up with if you’ve never cared for multiple pets before – especially pets as lively as gerbils. Overall, owning a hamster is a far more laid-back experience than ownership of two or more gerbils. Whether or not this is ideal depends on what you want out of your new pet(s) – as well as how many pets you’re open to having. If you are of the mind to get both a hamster and a pair or more of gerbils, it can very well be done. But if you take this route, do not ever house gerbils with a hamster. This is a near-guaranteed invitation of violence, as hamsters do not like their spaces encroached upon by another animal. We’ve given you a lot to consider (or chew on! ), but it’s worth having this information in mind before you make your choice. When you know what you are getting into, you can best prepare for the addition of your new pet.